Discusses responses of biological cells upon exposure to ionizing radiation; and Evaluates in vivo toxicity of carbon nanotubes in zebrafish embryos. Nowadays, there is an increasing need for orthopedic implants globally due to the large number of patients suffering from bone cancer, traffic accidents, other bone injuries and defects. The development of novel biomaterials that mimic the structure and function of human bones is a key challenge for materials scientists. Recently, NiTi alloys have attracted considerable attention because of their distinctive shape memory effect and superelasticity as well as biocompatibility with human bones. These unique characteristics enable nitinol alloys to correct deformities in patients suffering from scoliosis by implantation. However, several issues need to be solved and addressed in order to use the materials more safely. Release of nickel ions from nitinol alloys upon exposure to human body fluid is one of the major concerns since it can induce allergic reactions. Plasma immersion ion implantation of nitinol alloys with selected ions is found to be an effective tool to mitigate nickel release and to improve the biocompatibility, corrosion and wear resistance of the alloys. Bone is a biocomposite consisting of the collagen matrix and hydroxyapatite nanocrystals. Bone cell adhesion and proliferation are markedly enhanced on the surface of nanomaterials. In this regard, hydroxyapatite nanocrystals and carbon nanotubes are ideal reinforcement materials for polymers. The resulting nanocomposites show potential applications as load bearing biomaterials and scaffolds in bone tissue engineering. This book overviews the latest development of nitinol and polymer nanocomposites in orthopedic applications. A detailed description of their fabrication, mechanical behavior, biocompatibility and/or clinical implantation is presented. Furthermore, the responses of biological cells and zebrafish embryos upon exposure to ionizing radiation are given. Particular attention is also paid to potential hazards of introducing carbon nanotubes to zebrafish embryos. In recent years, zebrafish,Danio rerio, a small vertebrate from Southeast Asia, has become a preferred model for studying human bone structure and disease. To the best of our knowledge, there is currently no single book that deals exclusively with the fundamental issues and properties of advanced biomaterials as well as responses of biological cells to radiation and potential cytotoxicity of using carbon nanotubes. 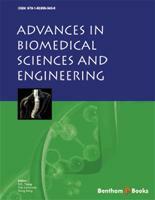 In general, this book concentrates on the state-of-the-art development and topics in biomedical science and engineering. The chapters of this book were written by eminent scientists and surgeons specializing in materials science, biology, biophysics, biomedical engineering and orthopedics. This book serves as an important and useful reference source for biologists, chemists, physicists, materials scientists, biomedical engineers, dentists, medical practitioners, medical technologists and graduate students.